A lot of people have been asking me how I use social media as a USANA business building tool. I wish I could provide a simple answer to that question. It’s certainly not that I don’t want to, because I truly wish that all USANA Associates were creatively and effectively using social media to promote USANA. It would make everyone’s businesses grow faster. However, I find trying to explain using social media for business building a lot like trying to write instructions on how to learn to ride a bicycle. 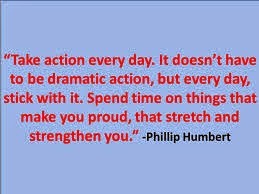 You just get on and do it. And, with trial and error, learning and practice, you’ll get better and better. But, that can take a lot of time. Time that most people don’t have. 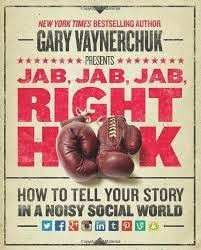 So, to help you shorten your social media learning curve, I’d like to share information on two books that I highly recommend to anyone who wants to become proficient with social media in the shortest time possible. 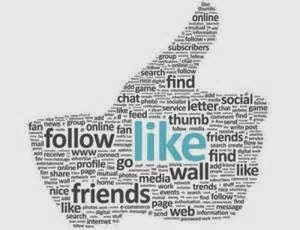 This book offers excellent information on all of the popular social media platforms. 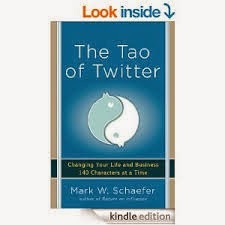 The second book is TheTao of Twitter by Mark W. Schaefer. This book focuses solely on my personal favorite, Twitter ( @petezdanis ). You can download and read both of these books in less than one day, and know more than I did after several years of “self instruction”. We’re not chefs—we don’t like the hats and aprons. But we do like to give you a veritable smorgasbord of videos to help you build your business. And we just added one more course to that feast. You now have a delicious new video focusing on USANA® Foods. Everything from Nutrimeal™ to our Protein Snacks is included. It’s the perfect appetizer for your potential customers and teammates to learn about these amazing products—short, simple, smart, and the perfect precursor to a hearty conversation about USANA. The video highlights the importance of healthy, low-glycemic alternatives in our fast-paced world. Who has the time to shop, chop, and cook, anyway? That’s why we have started to rely on fast food—which, if we’re being honest, is barely food at all. That’s why we have a bounty of delicious and nutritious food products. They’re easy, convenient, healthy, and fit perfectly into your busy life. Now you have another delicious morsel to share with potential customers and teammates—who knows, it might even help you beef up your business. So watch the video, subscribe to our YouTube channel and leave feedback, and share it via e-mail and on your favorite social networks. In a new study published online, researchers found an association between higher intakes of vitamin K1 and K2 and lower risk of mortality from cardiovascular, cancer and all-causes. Vitamin K intake has been associated with better outcomes in cardiovascular disease and cancer, but information on its impact on mortality is less known. 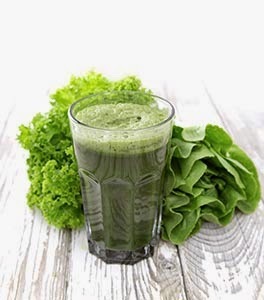 In a study published online in the Journal of Nutrition, researchers assessed the impact of dietary vitamin K on mortality in individuals at high risk for cardiovascular disease. The study involved 7,216 adult Mediterranean men and women at high risk for cardiovascular disease. They were participants in the PREDIMED study, which was evaluating the protective effect of a Mediterranean diet. Dietary questionnaires were filled out annually and analyzed for the dietary content of both vitamin K1 and vitamin K2. Average follow-up time was 4.8 years. Individuals in the top 25% of vitamin K1 intake had a 36% lower risk of all-cause mortality and a 46% lower risk of cancer related mortality when compared to subjects with the lowest 25% of intake. Individuals who increased their vitamin K1 and K2 intakes over the follow-up period had a 43% and 45% reduced risk of overall mortality compared to those whose intakes were unchanged or reduced. Improvements in vitamin K1 intakes also related to a 36% lower risk of cancer death. Those with increased vitamin K2 intakes during follow-up had a 59% lower risk of death from cancer. An increased intake of vitamin K1 resulted in 48% reduction in cardiovascular mortality, but no significant association was found between vitamin K2 and cardiovascular mortality specifically. The results of this study show for the first time an association between vitamin K intake and a reduced risk of cardiovascular, cancer, or all-cause mortality in a population at high cardiovascular disease risk. Martí Juanola-Falgarona et al. Dietary Intake of Vitamin K Is Inversely Associated with Mortality Risk. First published March 19, 2014, doi: 10.3945/jn.113.187740. If you share an idea with 10 different people, they get to hear it once and you get to hear it 10 times. 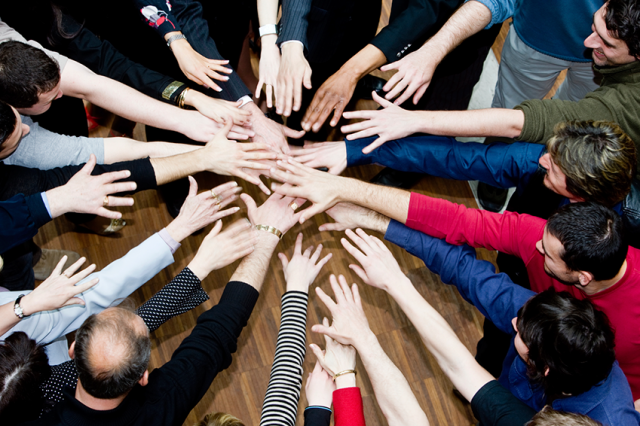 Share ideas—share with your family, share with the people around you, share with other employees, share with your colleagues. When one person shares with another, two things could happen. If you share with someone else, they could be transformed—you may have dropped in at the right time. This may be their moment. They've got three numbers dialed into the lock already, and if you say it well and say it right, you can be the fourth number that they can dial into the lock of their personal experience. The door will come open, and there will be opportunity they never saw before. The person who hears could be transformed. But here's what else is exciting. The person who speaks could also be transformed. Guess what we're all looking for… transformation for our new life—the new life tomorrow, the new life this month, the new life next year, the new life this year. 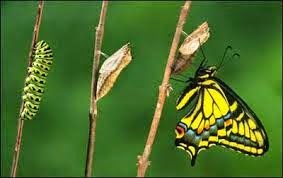 I'm asking you to go through such a metamorphosis. I'm asking you often to go through a period where you say, “New skills, new things are waiting for me,” and part of this will come if you'll translate for other people what you feel in your heart and in your soul. As awkward as your language might be at first, don't hesitate to do it. Sharing makes room for more. Key question: If this glass is full of water, can it hold any more? And the answer is yes. Yes, if you pour some out. So jot that down. If you want more, you've got to pour out what you've got, and then you have the opportunity to receive more. Now, unlike the glass that remains the same size when you pour some out, it’s not so in conscious human beings. Your capacity will increase the more you share. You'll get bigger and bigger and bigger. Why the self-interest wish to be bigger? Here’s why… to hold more of the next experience. Some people can't hold much happiness because they're too small. Their thinking is too small, their activity is too small, they're too small in their ability to share—they're just too small. They can't hold much. But the bigger you get, the more you will receive. When happiness is poured out, you'll get more. When joy is poured out on the nation, you'll get more. When bounty is poured out from the economy, you will get more. Now some people are not only small, but they have their glass turned upside down. It’s hard to get anything in. But here's what you've done in reading this: You've come with an open mind, an open consciousness—you’re ready to receive. SALT LAKE CITY, April 16, 2014 /PRNewswire/ -- (NYSE: USNA) -- There's nothing fishy about USANA's wildly popular BiOmega™ fish oil supplement. It has been thoroughly tested, evaluated and given the respected stamp of approval by ConsumerLab.com, a leading provider of independent product testing helping consumers and healthcare professionals make safe and knowledgeable purchasing decisions. In a recent study, ConsumerLab.com determined that USANA's BiOmega contains its labeled amount of fish oil and omega-3 fatty acids, including EPA and DHA. The review can be found on the company's website atwww.consumerlab.com. Plus, with USANA's BiOmega, you get a little extra vitamin D, but without the fishy aftertaste due to the added lemon oil. Purity. Some supplements may fail to meet standards set by the more rigorous Prop 65 in California. USANA's product falls well below Prop 65's allowable levels of PCBs and meets or exceeds global industry standards. Sourcing. Eating wild, cold-water fish remains the best source of omega-3s, but if your diet falls short and you need to supplement, note that USANA's BiOmega comes from small, clean fish (sardines and anchovies) from a fishery that uses sustainable practices and renewable resources. Blend. While there doesn't seem to be a consensus on what the perfect ratio should be, it's important to pick a product that has both EPA and DHA. Virtually all studies that have shown health advantages have used supplements that contain both. Potency. Compare your labels. The National Institutes of Health recommends that healthy adults get 650 mg per day of DHA+EPA. Even higher levels have been shown effective for supporting heart health, which is why a daily dose of USANA's BiOmega contains 1050 mg of EPA+DHA (1200 total omega-3 fatty acids) in a daily dose of two gelcaps. Read more about BiOmega on the What's Up, USANA? blog Supplement Spotlight post. Founded in 1992, USANA Health Sciences (NYSE: USNA) is a U.S.-based nutritional company that manufactures high-quality supplements, personal care and energy products in its FDA-registered facility in Salt Lake City. 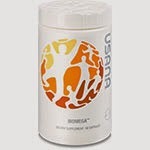 Learn more about USANA by visiting our website http://www.USANA.com or the official USANA bloghttp://whatsupUSANA.com. 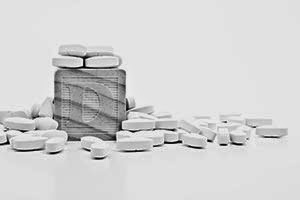 In a double-blind placebo-controlled study, researchers found that women taking a combination of calcium and vitamin D supplements had a 60 percent lower incidence of all cancers than women not taking the supplements. A study published in the American Journal of Clinical Nutrition has shown a reduction in cancer rates among postmenopausal women taking vitamin D combined with calcium. This four-year, double blind, randomized placebo-controlled study involved over 1,100 postmenopausal women who were divided into three treatment groups: 1) placebo, consisting of both a vitamin D placebo and a calcium placebo; 2) calcium, consisting of either calcium citrate (1400 mg Ca/day) or calcium carbonate (1500 mg Ca/day) plus a vitamin D placebo (Ca-only group); and 3) calcium plus vitamin D, consisting of calcium plus 1000 IU (25 μg) Vitamin D3/day (Ca + D group). In comparison to the placebo group, the women taking both calcium and vitamin D had a 60% decreased risk of all cancer by the end of the study. 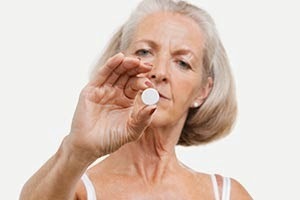 There was also a marginal reduction in risk among the women taking calcium only. This study takes an important step in extending several decades of research involving the role of vitamin D in health and disease. The results further strengthen the case made by many specialists that vitamin D may be a powerful cancer preventive and that it is commonly found lacking in the general population, particularly the elderly. Joan M Lappe et al. Vitamin D and calcium supplementation reduces cancer risk: results of a randomized trial. Am J Clin Nutr June 2007 vol. 85 no. 6 1586-1591. One simple way to look at our individual success in Network Marketing is to evaluate our success in the following three basic areas. They are the essence of being in the business. Successfully completing each phase defines our professionalism and success in the business. For most of us this is the most challenging phase. Most distributors never move through it. It is responsible for the attrition and has been described this way: Most Network Marketing distributors “are one, but don’t really want to be one.” Most distributors never intended to become Network Marketing distributors. It wasn’t a conscious decision. After becoming involved with the product, becoming a distributor was sort of an impulse of “seemed like a good idea at the time”. And as far as being a distributor goes, it is still a good idea – one most can stay comfortable with. However, when it comes to telling the world that we’ are now one and they should become one too – well, they don’t feel that good about it. Some of the old stigmas we would have thought to cast off are still on our backs; like, maybe this is a pyramid; maybe it won’t work as described; maybe only the people at the top will ever make any money. In other words, we have become a distributor, but we can’t defend the decision. To become a successful distributor, you must learn enough about our business and our method of marketing to accept it, actually embrace it as a profession of which you are truly proud. To do this takes accurate information about the rights and wrongs, facts and fiction of our business. So when your own doubting mind, or someone else, asks you if this is a pyramid, you know first exactly what that is and how your business is distinctly different. It means being able to document with pure logic and reason why anyone following directions can build a successful business. It means having that inner burning conviction that it is a good business worthy of anyone’s efforts. Getting there takes study. Study the successes and the failures. Develop a body of knowledge about why each ran its course. To know this business is to appreciate it. Once we learn to love our business, doing what’s required to build it is simple. The essence of building the business is the continual spreading of the product and opportunity word. Obviously we must feel great about it ourselves before we will recommend it with conviction to others. Beyond spreading the word, the key aspect of building your business is to “follow directions.” In most organizations, someone somewhere is making it work in a way that others can duplicate. From that success, comes a game plan that you can follow to achieve similar results. Think of it like a franchise. This business concept works because those desiring to succeed duplicate a successful model. The franchising concept has the advantage of “no choice.” They have to follow directions. The challenge in Network Marketing is the freedom of choice. We don’t have to follow a successful game plan and often out of stubbornness, individuality, or lack of discipline, we don’t. Follow successful directions and you too will succeed. The quality and quantity of leadership is the key to any people-intensive endeavor. For every 1,000 people you create permanently in your organization, you can expect about $5,000 per month in asset income. Obviously, you can’t effectively manage 1,000 people. You create them, keep them, and make them grow by developing key leaders in you organization. To the degree that you develop leaders, you will have long-term success. Obviously, in order to attract and develop leaders, you have got to be a great one yourself. • Sets and maintains the proper example in every aspect of professional and personal life. • Has an organizational game plan that involves the success of others. • Inspires and coaches others to achieve their goals. • Performs where others fear to. • Is committed to completing the task, whether others join in or not. • Committed to constant, honest self-evaluation and personal development. • The quality and depth of your leadership actions will directly affect the quality and quantity of leaders you attract, which will directly affect the amount and longevity of your Network Marketing income. In a new large review of observational studies, an international team of researchers uncovered a reduction in the risk of premature death in association with the use of vitamin D3 supplements. In a new meta-analysis published in the British Medical Journal, researchers analyzed the possible association between a higher blood level of vitamin D and a reduced risk of all- cause mortality. The review included 73 observational population studies that reported vitamin D serum levels and the cause of death among 849,412 men and women over a follow up period up to 29 years. Rajiv Chowdhury et al. Vitamin D and risk of cause specific death: systematic review and meta-analysis of observational cohort and randomised intervention studies. BMJ 2014;348:g1903 doi: 10.1136/bmj.g1903 (Published 1 April 2014). 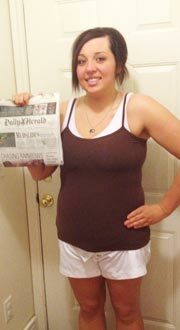 “USANA has been that tool in my life to make all of this possible. I thank my dear Lord above that I was introduced to USANA. Through the support of the best team, Team Infinity, failure was never an option. Thank you not only the amazing products, but for attracting the most beautiful people that are a part of USANA. These people have hearts of gold, and they are my angels. My life is forever changed!" The RESET™ Challenge: Destination Transformation weight-loss competition has officially come to an end. Congratulations to all of our winners and participants! Let’s see what we’ve accomplished together: in 12 weeks, nearly 3,000 participants from all over the world banded together to transform their bodies, their businesses, and their lives. That’s pretty incredible. The RESET Challenge has been an incredible journey, but don’t let it stop here. Keep the momentum going and host your own RESET Challenge or “Summer SlimDown” for your friends, family, and team members. For more information visit the “Host Your Own RESET Challenge” page located under the “Prospecting” tab in the drop-down menu. †Results are not typical and will vary. 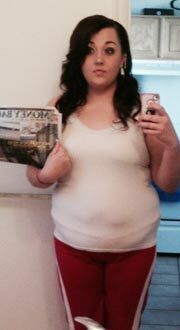 Typical results are 4 lbs in 5 days. As with any health or fitness program, a sensible eating plan and regular exercise are required to achieve long-term weight loss results. Hey USANA, What Day is It?